Where is my Wall located? How do I get to my Wall? 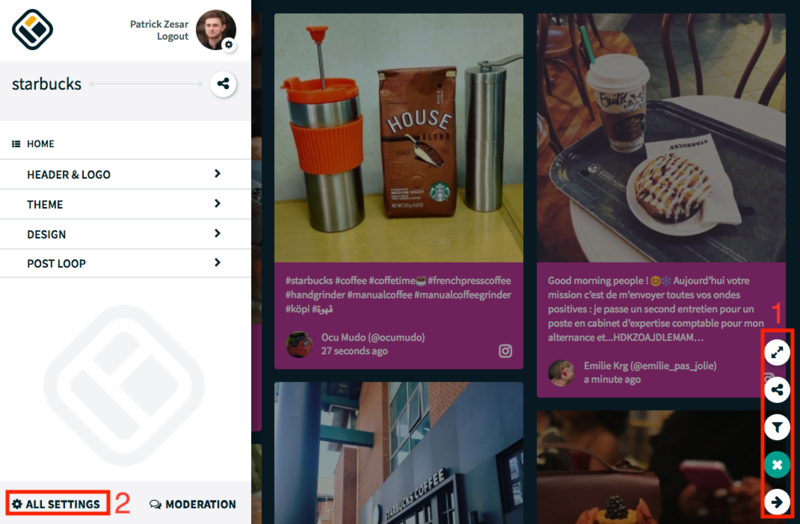 Where can I find the Settings Page for my Wall? 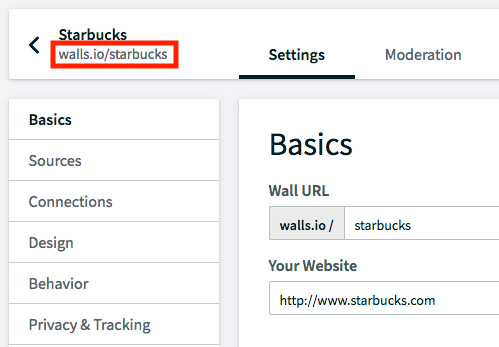 Walls.io is a web-based app, meaning that your Wall as well as its Settings Page are merely (very clever) webpages. The default option is that your Wall gets a randomly generated name, for example a93sk4. In our paid plans you can set a custom name for your Wall, given that it is not already taken by another customer. You could name it PetersWall for example. The name of the Wall is always included in the URL that points to your Wall. Peter has to be logged in with his Walls.io account in order to access the Settings. Find the Settings Page by clicking on the Menu button at the bottom right corner of your Wall and clicking the Settings Icon (marked 1 in the screenshot below). Then your Quick Settings Panel will open to the left. If you wish to go to the full Settings Page, just click "All Settings" on the bottom left corner (marked 2).